Precious metals investors will recall when the end of summer precipitated the beginning of a prolonged period of precious metals price weakness, but this year’s price performance has been different. The gold price has been flat to weak in July and August, following a Brexit boost in late June. Analysts have seen this as consolidation, perhaps ahead of an upturn in the final months of the year. Early signs for this look good. Helped by weaker than expected PMI Services data and by a falling dollar, gold has risen around $15. Interestingly, like Friday’s nonfarm payroll figures, the latest Services PMI was weaker than analysts’ expectations. The US economy may be growing, but at a far slower rate than the Fed would like. The net result of the weaker data is to assume the Fed is unlikely to restart interest rate tightening at the September FOMC meeting for fear of nipping any tentative economic upturn in the bud. If this assumption is correct, it rules out any interest rate hike announcement until the December FOMC meeting. If US data follows its current weaker than anticipated course, even a December rate hike may be in doubt. November is ruled out because of the presidential election. The election itself could provide another degree of uncertainty in US markets. Trump and Clinton are running neck and neck. As with Brexit, voter turnout may be key and, with the two contenders being so unpopular even among their own party supporters, this could be unpredictable. 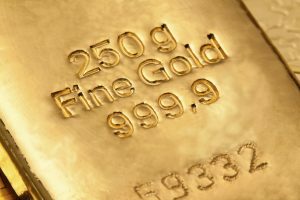 Williams advised UK investors to invest in gold ahead of the Brexit vote, and those who did were well rewarded with the double whammy of a dive in the value of the pound against the dollar, coupled with a rise in the gold price. US investors might be well advised to buy gold ahead of the presidential election as financial insurance against an unlikely result, causing the dollar to fall and gold to rise.